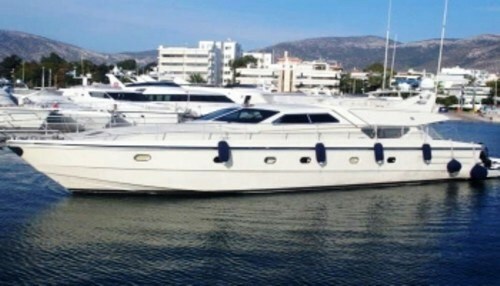 Motor yacht CATHERINE’S was built by the well renowned Ferretti Group in 1993 and refitted in 2013. Crewed charter yacht CATHERINE’S measures 17.6m (58ft) and offers accommodation for up to 6 charter guests in 3 en-suite cabins. 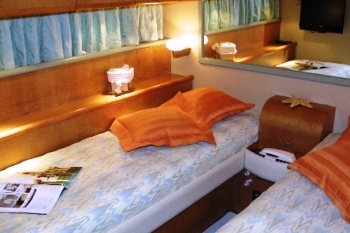 CATHERINE’S is based in Mykonos and available for East Mediterranean luxury charters. 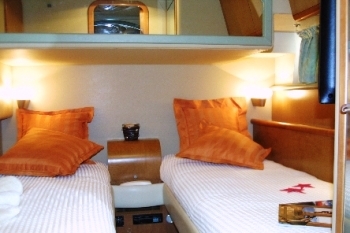 M/Y CATHERINE’S has a contemporary interior. The salon is raised and benefits from wrap around windows, for optimum natural light. Aft on the starboard side is a comfortable lounge with U shaped cream leather sofa, coffee table and entertainment system. 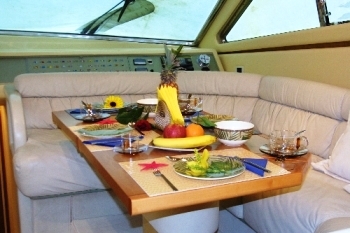 Forward to port, is a formal dining table where guests may dine whilst enjoying the idyllic views. 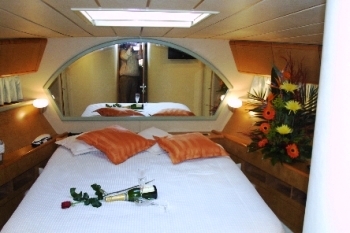 Charter yacht CATHERINE’S offers 2 double and 1 twin cabin, all 3 cabins are below decks forward of the salon and have full air conditioning. Exterior living is plentiful aboard the Italian designed Ferretti yacht CATHERINE’S. 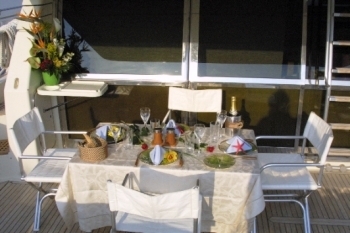 The aft deck is partially shaded and boasts an alfresco dining option. Further aft, the extended swim platform is ideal for effortless access to the azure blue waters of the East Mediterranean. 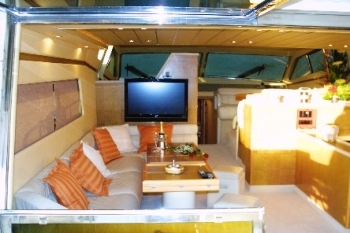 Side decks wrap around the yacht 360° and lead to a double sunpad on the foredeck. Above the main deck, the flybridge is perfect for sunning and relaxing and features and additional alfresco dining option. 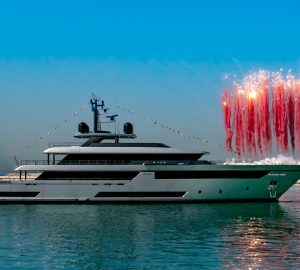 Motor yacht CATHERINE’S has a beam of 5.4m (17.9ft) and a draft of 1.6m (5.4ft), she is powered by 2 x MTU 1100hp engines that are able to reach speeds from 25 – 28 knots. 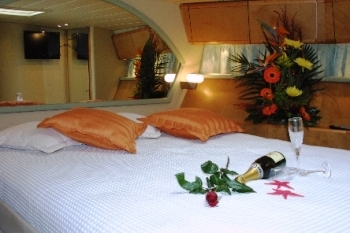 The CATHERINE’S motor yacht offers 2 double and 1 twin cabin, all 3 cabins have en-suite facilities and serene neutral décor. 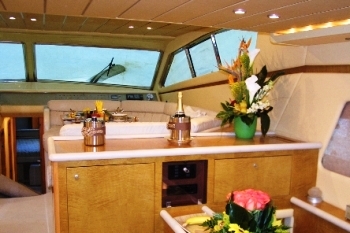 Yacht CATHERINE’S has a Tender, 2 man Wave runner, Fishing gear, TV/DVD/Stereo.